“Some people walk in the rain, others just get wet” I grew up in Sitka but have been away for quite a while. I never expected to miss the rain but I do so I am not one of the “others” any more. I love the way it sounds, I love the way it feels and I love the way it leaves everything feeling so fresh and new. 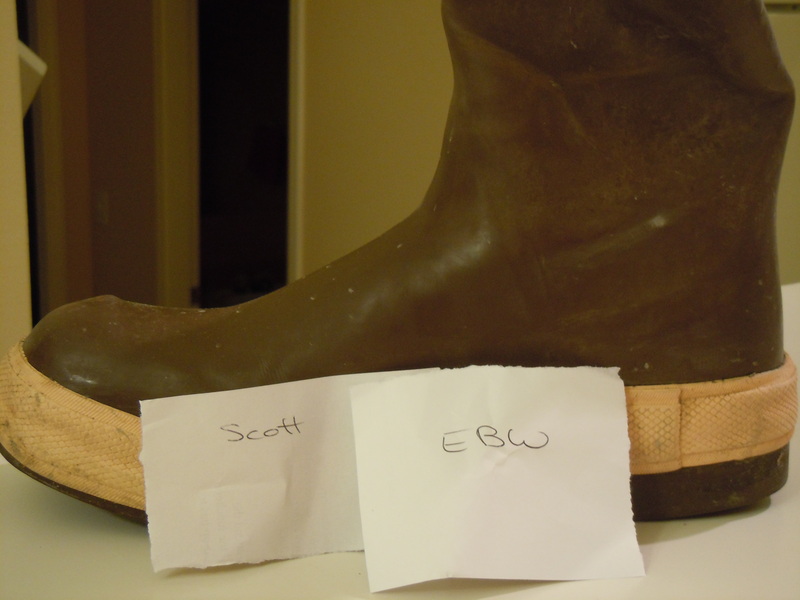 Your name’s in the boot, new friend – thanks for being the first to chime in here! On the eve of the 13th full moon of 2012…………”Say what you mean, and mean what you Say” Be Well Tele….. Excellent, Ms. Vicky – didn’t you win the last one of these giveaways? Let’s see if your luck holds! Hugs to you and yours this new year. A couple of my favorites for you Tele. I am kind of a quote freak so it was hard to stop there. Good luck with your proposal! Nice, Debi – I’d only heard the last sentence of that Helen Keller quote; didn’t know the preceding bits. Thanks for these, and best new year wishes for you! Have a look at my What They Said page, perhaps one will speak to you, I choose a new quote each time I write a post, but they have so many possibilities, Murakami on the storm is a good one too. Sometimes when trying to relate with others and nothing you do seems to work, It can often be a case of trying to teach a pig to sing; it wastes your time and annoys the pig. There is some gorgeous poetry that has come from the Aran islands about solitude at sea. I can’t recall the exact poems but if you google “Aran Islands poetry” I bet you will find some beauties. oh, also sing out loud (really loudly over the deck speakers) and change the names in the songs so they are relevant to anywhere fishing Ex. “got out of town on a boat goin’ to Lazaria Island (or Farallon Islands or…) – “spirits are using me, larger voices calling” (the siren song of the sea), this is our quote on F/V Saint Jude. Tied with a silver chain”. Sorrow is how we learn to love. Your heart isn’t breaking. It hurts because it’s getting larger. The larger it gets, the more love it holds. Humility unlocks the closed mind, and an open mind is wisdom’s only portal. What needs to be counted on to have a voice? Courage. Anger. Love. Something to say, someone to speak to, someone to listen. I have talked to myself for years in the privacy of my journals. The only things I’ve done religiously in my life are keep a journal and use birth control. I know this is where writers live. Inside to write. Outside to glean. A person can therefore no more promise to love or not to love than he can promise to live long. What he can promise is to take good care of his life and of his love. “O, God, Thy sea is so great, and my boat is so small” – Breton Fishermen’s Prayer (a quote displayed aboard our family boat, F/V Kay Angela, when Kyne – my sis – & I were “boat kids”). If it’s important you’ll make it happen. If it isn’t you’ll make excuses. “She gets it, gets how this north country can enter a person and take hold, won’t let go, even when you want it to” (pg 4). “Perhaps, also, the only way to write about yearning is to be feeling it” (pg 8). “A place that pushes you. That says, Stay alert. Pay attention. This is your life” (pg 10).